Saturday, November 26, 2011, Inside the Eye - Live! was joined by Harley Schlanger, Southwest Bureau Chief for 15 years for Lyndon LaRouche PAC Executive Intelligence Review Magazine. In what proved to be a lively and informative conversation, it is clear that the Harley Schlanger's views and insights of the American and geopolitical scene are very much in line. Harley Schlanger has been active in American politics for nearly 40 years (or more) and, as the Southwest Bureau Chief for LaRouche's "Executive Intelligence Report", his research has contributed to such works as The Ugly Truth About the ADL, and Bush: The Unauthorized Biography. Harley was recently a guest of Alex Jones' "InfoWars", appearing for an hour in August. He joined me from Vienna, Austria, for a lively second hour of the show discussion. For additional information, be sure to check out LaRouche.Pac or call in the United States, toll free, at 800-929-7566. 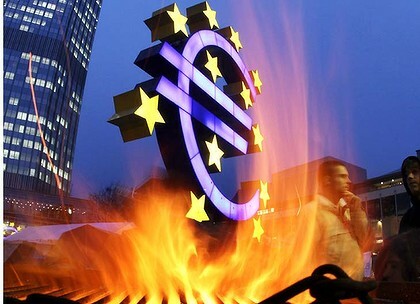 The Euro - Up in Flames? Within the financial community, bonds and bond holders hold tremendous power. Bonds represent old money. They represent conservative acceptance of what is long term to mid term short financial growth. When wielded as weapon, bonds and their holders can be used to target and "shake down" entire countries, counties, and cities. Bonds can also represent natural underlying risks within governance markets, be they corporate or institutional. Whatever the angle, predatory or natural risk, bond sales to governments across Europe are becoming unsustainably high. There is an end game in play - either the liquidation of the Euro and a break-up of the European Union as it has been originally envisioned, or there is a capitulation by Germany and German influence in its sovereign interests shall become nearly irreversibly lost. A high game of financial poker is in play, and nothing short of the EU as we know it is at stake. A break-up of the EU would, of course, benefit the long term democratic underpinnings of Western civilization. For this reason, the EU should go. The EU has become unwieldy and increasingly, insane. A recent mandate that water does not aid in rehydrading the body is a case in point. EU "science" has fallen into a state of irrevocable stupidity bordering on the rantings of a clueless buffoon. On the other side is the reality that a loss of the Euro as a currency greatly aids in forestalling the collapse of the United States Dollar as a foreign reserve currency for global trade. No longer would there be a competing Euro upon which countries could trade. One has to wonder if the European debt crisis, as it is sold, was not a larger gambit by American intelligence agencies to create the conditions upon which the Euro could be destroyed, at a great loss of course to American real estate and economic standing, but a victory non-the-least. Harley and I spend a fair amount of time discussing the EU and the Euro, insights which I am sure you will find informative and entertaining. 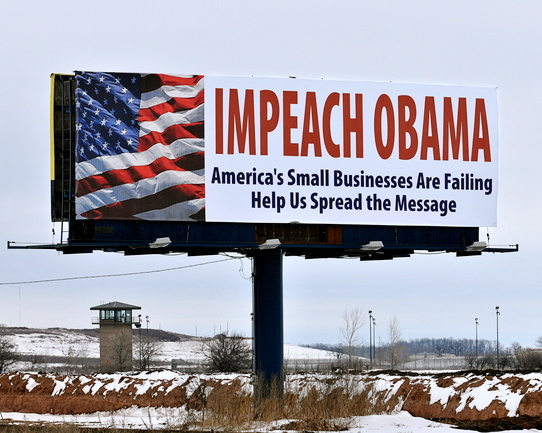 President Obama - Impeachment on the Table? A main contention, and it is hard to counter the arguments, is that President Obama, aside from perhaps being a "userper" (one who is holding office illegally by virtue of his legal status to hold the office not being affirmed), has violated so many laws and rights of Americans that the guy should be impeached. Perhaps jailed. The war on Libya, the ongoing assassination squads (murder without due process), his claim to have a unilateral right to execute Americans (again without due process), all point to a megalomaniac of immense proportions. Of course, President Obama is but the head of darker, more hidden, forces. Harley Schlanger goes into details as to why President Obama should be impeached and calls on American political forces to effect such a move. 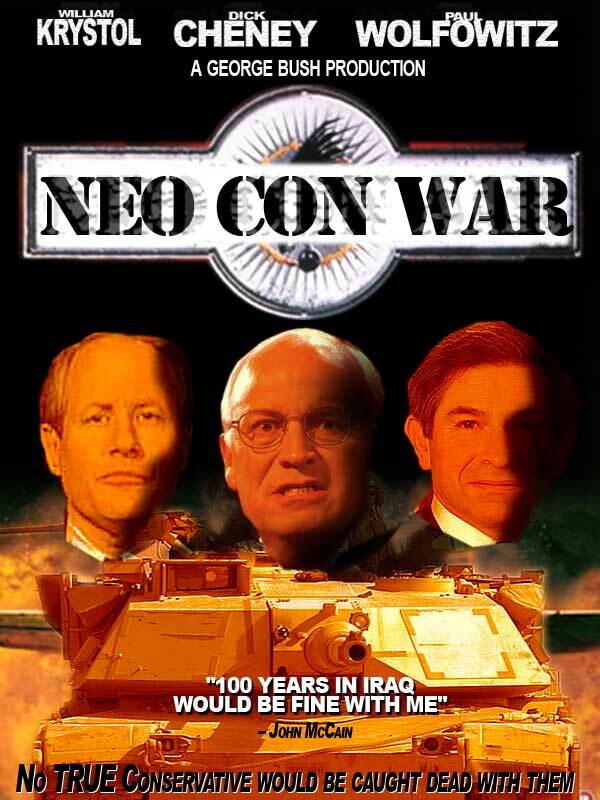 The issue, at the end of the day, is the idea of a "war economy" predicated on the interests of petro-dollars and Israel, two interests that dove tail nicely into un-regulated and monitored private central banking practices. Central banks, having lost trillions and stolen trillions more, now are major creditors themselves, when all is said and done: they must steal from the people in order to cover for the losses they themselves and no one has incurred. So we have major pushes to kill off the creditors - the very people whom are the citizens of the planet and for which all money issued is, in effect, the rightful owners. As people wake from their induced slumber, bought and paid for by central banking fiat dollar interests, clearly anger is deserved and expected. Hence the idea of war to kill off the creditors - or human populations. This is the greatest danger humanity faces, for indeed there is an empowered elite with this precise belief in play. President Obama is but an outward extension of this much darker force, a force that came to bald open power with the NeoCon/Mossad/US Synarchic attack on the United States on 9-11. This recent show is another great bit of entertainment and insights and Harley brings a fascinating bit of external and "insider" observations that are well worth the listen. Enjoy and catch you Saturdays on the Oracle Broadcasting Network. News Roundup - Israel Madness and America in Revolt - Inside the Eye - Live! Inside the Eye - Live! continues to show strong Saturday morning, 10:00 AM - 12:00 PM CDT (GMT-8) ratings, adding nearly 100 listeners or more per show the last couple weeks, so many shouts out of thanks for support of the efforts. This past show, broadcast on November 5, 2011, was no exception in what proved to be another entertaining and enlightening show. Inside the Eye - Live! is part of the Oracle Broadcasting Network team. Broadcast from Amman, Jordan,the show effectively served as a vacation kick-off for the long Eid Al Adha holiday, a time when Muslims make their way to Saudi Arabia and Mecca for the annual Hajj trek. During this same week, our perennial pariahs, the "state" of Israel, was in typical form, announcing and acting in typical pre-medieval barbarism and criminal fashion. 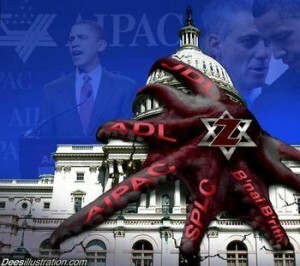 What often goes un-noticed is that the huge financial morass the United States and the West find themselves in is a direct result of wars waged for Israel combines with actions of bankers wholly aligned with Jewish nationalist causes, nationalist causes that transcend borders and subjugate Western interests to the "state of Israel". This show brings 2 hours of in-depth information that makes "Inside the Eye - Live!" and the Oracle Broadcasting Network true leaders in cutting edge alternative infotainment media. To those of us who study the Mysteries, we recognize the Jehovian influences and corruptions, but equally we take note to always notice the Isisian infiltration and symbolic representations. Hence we find across human beliefs a series of common threads. However, for those immersed in the individual threads of mass religious consciousness, often the idea of a common thread is superseded by the over power immersion of one's belief systems. This reality is a universal condition. For Muslims, one of their pillars is "to make Hajj" at least once in their lives, if they are indeed able. From a logistical point of view, this means that an enormous mass of humanity converges on a single point in a very short one week period. To handle this influx, the government of the Kingdom of Saudi Arabia has created an entire government ministry called "The Ministry of Hajj" which is tasked with the logistics of ensuring a safe Hajj for all guests coming to Saudi Arabia. A review of the Ministry of Hajj website reveals a complex and challenging organizational and logistical environment, which, from year to year, is executed with a high degree of professionalism and efficiency as evidenced by the continued year on year growth. 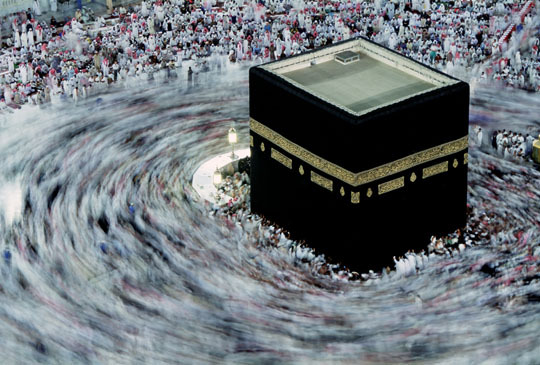 The Hajj for 2011 is expected to host over 3 million visitors. When dealing with Israel and the fanatical pathology of those who seek to support same, one must often be willing to abandon all pretenses of rationalism and logic. Simply put, there is no logic or rationalism available from which one could support such a religiously inspired criminal monstrosity. Qabballisticly (is that a word? ), one should be able to see the links between "the monotheist" construct of Judaism and the English (Isisian) construction of "a monster". There is an innate qaballistic truth caste into English. This first week of November 2011 saw a cascade of Jewish assaults on the language and senses. It all began with a vote Monday, October 31, at the 36th UNESCO General Conference in ParisThe purpose of the vote was to decide whether to admit Palestine as a full member of UNESCO. There is the Jewish angle that "UNESCO" is a branch of the United Nations, and as such, is a club set aside for those who are admitted to the United Nations, which is essentially a "Club of Nations". Since Palestine is not a member of the "Club of Nations" known as "the United Nations", then how could a non member that is "not a country" be admitted into an organization that is exclusive to the member "Club of Nations"? This argument aside, Israel and its proxy, the United States, lost the vote. 81 yes votes were needed out of a possible 173 cast. The final tally: 107 yes, 52 abstentions, and 14 no votes. Of the "no votes", the same Zionist Occupied Government countries were represented, namely Canada, Australia, Czech Republic, Germany, Israel, Lithuania, the Netherlands, Palau, Panama, Samoa, Solomon Islands, Sweden, US, Vanuatu. A surprise was Sweden, but so too was an abstention from the United Kingdom, a Rothschild syndicate. Equally of interest was the yes votes from permanent security council members Russia, China, and France. Typical Jewish tantrums soon followed, with announcements from the United States and Israel. “The vote to grant Palestinian membership in Unesco is no substitute for direct negotiations, but it is deeply damaging for Unesco,” U.S. Ambassador to the UN Susan Rice said in a message posted on her Twitter feed. The United States, which pays for nearly 22% of the budget of UNESCO, apparently has a law on the books that prohibits funding to the United Nations or any UN Agency that gives the PLO "full membership". Clearly this law is a Jewish-centric driven law that highlights Jewish imposition of themselves onto the larger American and global interests. The United States will need to restore funding within 2 years of being delinquent or lose voting rights. Israel followed suit, announcing that it too was going to take its ball and go home, while Zionist Occupied Government in Canada, too, announced that it was henceforth cutting funding. If the candid investigator of the Jewish Question happens to be in business,the "boycott" is the first answer of which the Jews seem to think. Whether it be a newspaper, or a mercantile establishment, or a hotel, or a dramatic production; or any manufactured article whose maker has adoptedthe policy that "my goods are for sale, but not my principles"- if there is any manner of business connection with the student of the Jewish Question, the first "answer" is "boycott." "Unesco deals in science, not science fiction. They have forced a drastic cut in contributions to the organisation." Of course, such an assault on the intellectual senses is just typical Jewish political manure. The "boycott" is a long term assault by Jews against anyone who refuses to sell principles of what is right in the face of overwhelming criminal or cultural suffocation at the hands of Jewish political agenda and power. It was referenced by Henry Ford, for which he was predictably boycotted, and continues strong to this day. Nimrod Barkan is an intellectually bankrupt idiot. UNESCO has long served as a bully platform for Jews and their "Holohoax" industry and Nimrod Barkan knows this. Selling the Holyhoax is no more "science" than "creationism", itself derived from Jewish cultural and religious lunacy, is a valid theory for the creation of life on Earth. The government of Israel and UNESCO will sign an agreement to reinforce their cooperation in developing and promoting Holocaust education and combating denial of the mass murder of Jews and other groups in World War II. Never mind the mind numbing, obnoxious, intellectual literary assault lobbed through the use of the word "denial", the truth remains that UNESCO has long served as a Zionist occupied front to promote Jewish interests which have little to nothing to do with reality, let alone a rational basis in "science" and "education". Perhaps with loss of funding from core Jewish fronts, UNESCO can return to being an organization focused on its mission instead of promoting Jewish religious lunacies. America rewards richly its " sports superstars". The average Major League Baseball salary at the start of the 2011 season was US$3,305,343, while the average salary for the National Football League at the end of the 2010 season was US$1,900,000. 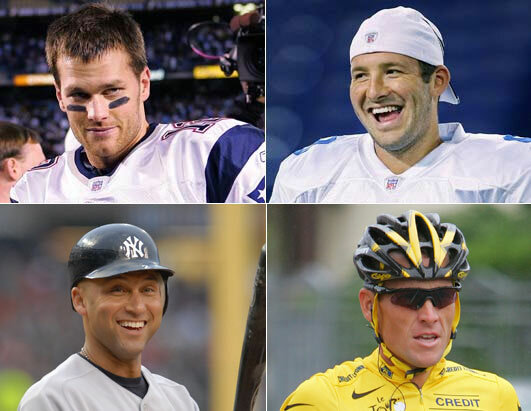 Superstars in these sports, of course, earn sizable figures above these values. America as a culture is not averse to people making money. In the world of sports entertainment, the stakeholders have, through agreement and friction (strike actions), created working formulas that ensure that the benefits of the enterprise are divided along some mutually agreed shared figure that ensures that the lowest level employees earn such that average and median salaries per year can be quite attractive. Yet, in the "too big to fail, but too stupid to succeed" world of American financial and corporate governance, the executive elite is not only compensated well, but often compensated such as to ensure that the wealth of the entire enterprise flows as little as possible to the employees and associates who make the venture successful. The result is an income discrepancy that is vastly skewed in favor of the executive elite to the detriment of the organization income structure at large. Money flows to the top and all efforts are enacted to ensure that as little as possible can flow down. Executive salaries are so high precisely because the money executives make are pilfered from salaries of the total organization. You cannot have a vibrant, equitable society when compensation of the executive (ruling) class is designed such as to deny income to the society at large. Yet the fact that CEOs’ pay is rising along with stock prices underscores the disconnect between pay and companies’ true underlying performance, Lazonick says. While companies in the S&P 500 boosted profit 47% last year, much of that was due to cost-cutting and layoffs, not from the creation of businesses and growth, Lazonick says. The average CEO of a major corporation in the U.S. was paid $15 million in 2005, and the figure has climbed dramatically since then. The average U.S. worker's salary in 2005 was $40,000 and it has actually declined during the recession. The U.S. stands out , compared to other areas in the world with respect of CEO compensation. For example, the CEO compensation as a multiple of the average employee compensation in the U.S. is a multiplier of 531 as of the year 2000, and much higher now. In comparison, the multiplier was 21 for Canada, 11 for Germany and Switzerland, 25 for Britain, 10 for Japan and 22 for Australia. As THE WALL STREET JOURNAL reported, a 2008 study found that the top .01% — or 14,000 American families — hold 22.2% of wealth. The bottom 90%, or over 133 million families, control just 4% of the nation’s wealth. One of the primary challenges facing Americans is "income disparity", plain and simple. You cannot have a vibrant economy if the compensation schemes enacted at the elite are designed to pilfer salaries from the employees. Listen in at "Inside the Eye - Live!" to get a solid two hours of jam packed information on these issues and more!